This vessel had been a long time coming. The 1992 Sealord deal marked the settlement of Maori commercial fishing claims under the Treaty of Waitangi. 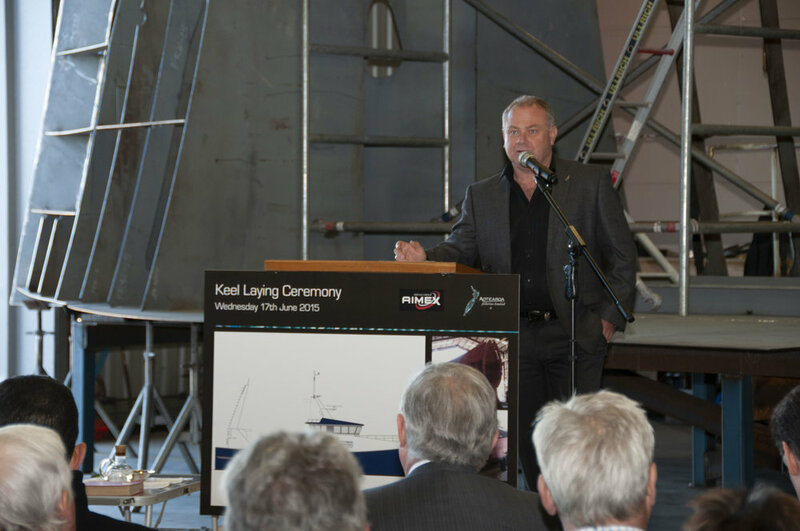 September 2016 saw the launch of Moana New Zealand’s first 24m dedicated fishing trawler, Santy Maria. 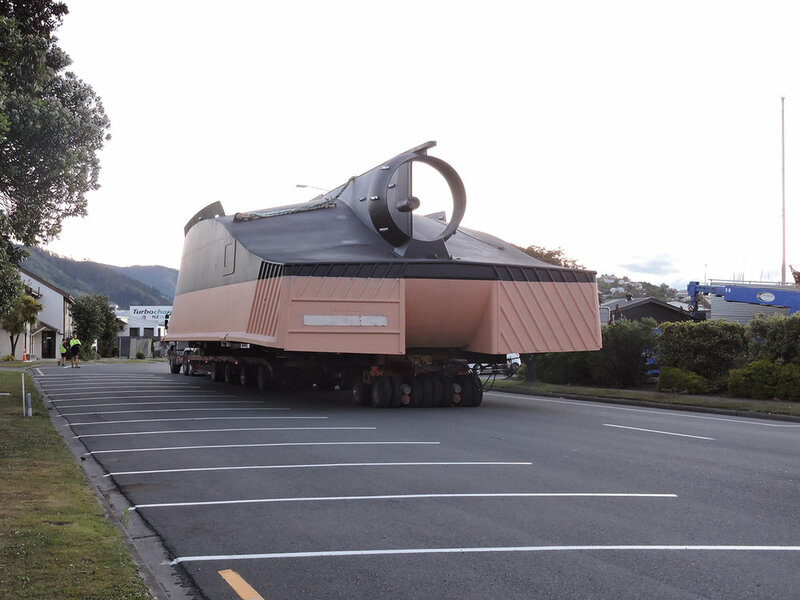 The Santy Maria is the first vessel in Moana New Zealand’s $25m to $30m fleet renewal project. Construction was underwritten by Moana, as part of its commitment in supporting young Maori fishers into the fishing industry, while ensuring the sustainable future of its fisheries assets in the commercial fishing industry. 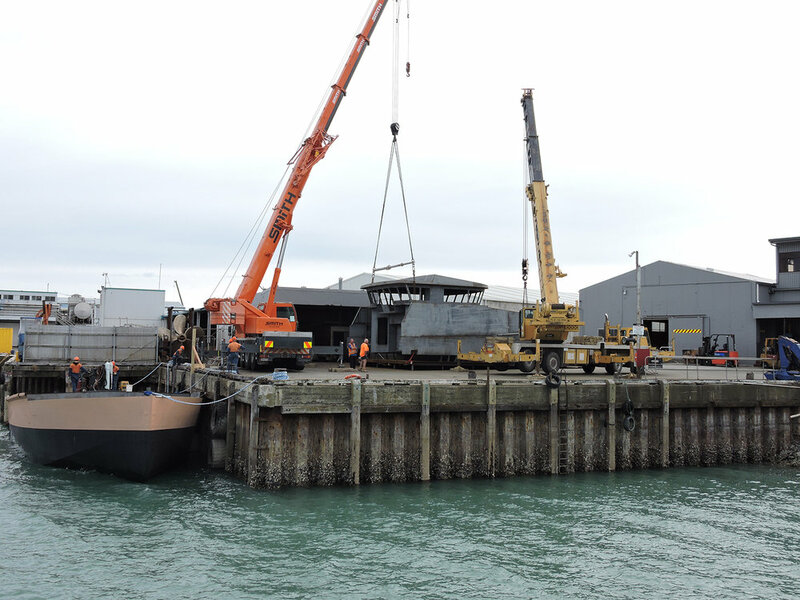 Designed specifically to suit New Zealand’s conditions by Oceantech an aligned company to Aimex , this new vessel is more fuel efficient, more powerful, more stable and designed to improve productivity as well as minimising the environmental impact of trawling. Using Precision Seafood Harvesting (PSH) technology on the vessel, it is designed to reduce juvenile mortality associated with trawling. Santy Maria is the first vessel to be purpose built to handle PSH. The vessel is an all welded steel construction using conventional transverse framing methods with a single chine. The hull decks are 8mm plate, the superstructure is in 6mm with a solid 16mm under the winches and main work deck, leaving the stern ramp a modest 10mm. The hull is divided by four watertight transverse bulkheads to form the following compartments: Tiller Flat (steering) lazarette right aft; Catch pound and raw chilled seawater tanks; Freezer hold and double bottom tanks taking the largest section amidships; and Engine Room under the crew accommodation and bridge. Finally we have the forepeak with fresh water tanks below. In fact it was waka to break traditions in being the first to be launched upside down. This in itself posed a number of challenges for us. The hull and main deck was constructed upside down inside the covered workshop, while superstructure above the main deck was assembled upright outside in the yard. Due to her weight as the hull was launched she tumbled the right way up and secured alongside, where the super structure could be craned on and the ship was finished. Stepping into the main accommodation you will find a well-appointed messroom complete with a full galley. The crew and Masters cabins are top class with a bunking provision for a Fisheries observer when one is required to be carried. The interior is finished in tasteful timber veneers to a high boatbuilding standard. Upstairs the first thing to note it 10 identical Olorin marine displays. All the electronics/computer equipment driving the displays (fish finders, radar etc) has been installed as ‘black box’ behind the scenes enabling the dash to have a clean crisp console. These display are both sunlight viewable and fully dimmable for night operations. Feeding these screens is an impressive suite of electronics including the new FAR 1513 radar from Furuno with features such as fast target tracking and target analyser as well as automatic Clutter elimination to give an unrivalled picture in its class. There are loads of technology on this boat ranging from Black Box sounder, WASSP multi-beam sonar, Ixom M801 SSB and 2 Icom M604 VHF’s communication package including a Felcom 19 Sat C unit and hand held satellite phone for communication. Added to this is the Furuno FA50 AIS Tranceiver and a Furuno Fax 30 to receive weather fax. Finishing off is a KVH TV dome and two fusion stereos to complete the entertainment package on board. The lower console is also an exciting place to be fitted with Marport trawl net monitoring system operating the new Scala multi screen system which allows the skipper to set the display to their liking rather than a manufacturer specified arrangement. The vessel uses a wide range of sensors for the Marport system including, door sensors showing spread as well as pitch rol and depth of each door, enabling the skipper to ensure the net opening is optimal. It also comes with two catch sensors giving the skipper complete visibility of their catch. The final sensor used with the Marport is the new BE-100 bottom sensor which uses acoustics to enable the skipper to know exactly when his ground rope come into contact with the sea floor. For navigation, the vessel is using the latest Time Zero software from Max Sea as well as Sea Plot Pro, fed position via two GP33 GPS units and a Furuno NAVpilot 700 Autopilot, with two Furuno Rudder Angle Indicators connected. Aft the wheel house with a clear overview of the fishing deck is the comprehensive winch control station, while to starboard is a small chart table doubling as a tea making bench with a small bar fridge underneath for milk and a small hand sink for washing up. Although fitted with a joystick controlled steering and auto pilot it was nice to see a wheel as an emergency backup helm. Once underway, the vessel produced a surprising free running speed of 10 knots with an impressive 10.5 tonnes bollard pull. The first task was to find a deep hole in the Cook Strait to run trawl wires out so they could be rewound onto the drums under load. Roger Rawlinson was happy to report Santy Maria is burning between 70 to 90 litres per hour trawling and about 80 litres per hour free running at 9.5 knots. Last time we spoke with him he was fishing side on to a 3 metre swell at 30 knots. ‘This boat is magic’ he told us. The pre chilling of fish is working a treat bringing the fish body temperature down to near white eye. The ice maker is making more ice than we can use and the fish room is holding at minus one degree, so the ice is not melting away. Yip, he is one happy chappy.